Off-road capability meets luxury in this rugged new Sierra. Earlier this month, the all-new GMC Sierra made its debut in Detroit. 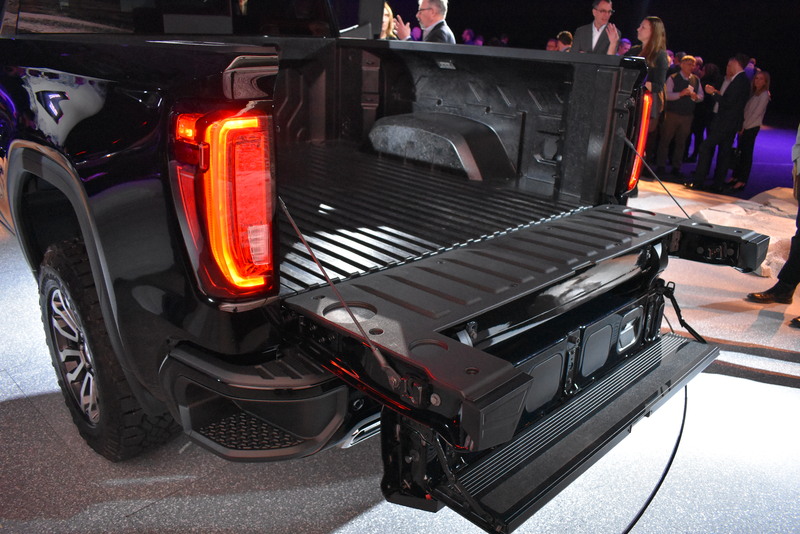 We were very impressed by its classy new look, its trick tailgate, and its available carbon-fiber bed. 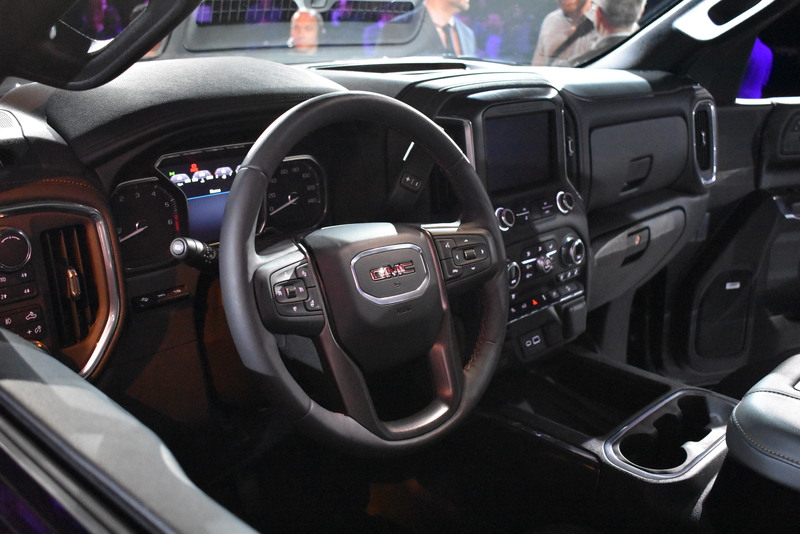 GMC has done an excellent job standing out in a field of trucks that’s getting increasingly competitive. But what we saw in Detroit was just the range-topping Denali and almost-as-nice SLT versions of the new Sierra. This time, at Pier 36 in Manhattan, GMC unveiled the all-new Sierra AT4. The 2019 GMC Sierra AT4 is the first offering from an all-new sub-brand from GMC. 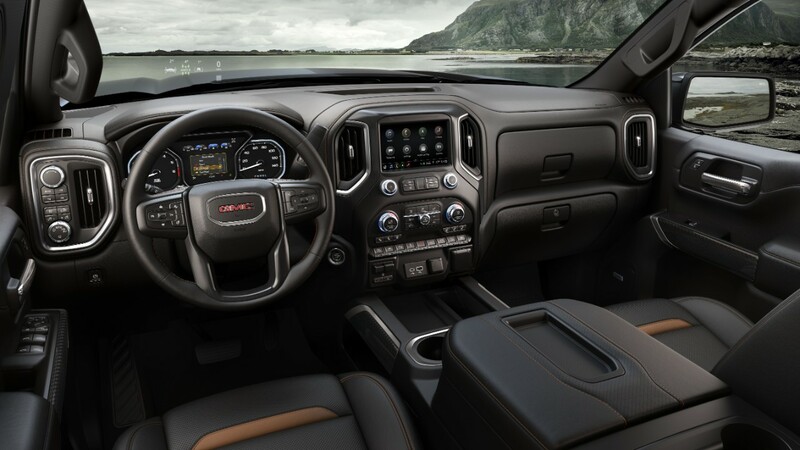 AT4, which stands for All Terrain 4, is all about off-road ability and attitude without sacrificing the premium features and technology you expect from GMC. These are trucks for the driver who wants to go off the beaten path in a full-size pickup truck but wants to do it in pebbled leather seats with a full-color head-up display. The truck looks distinctly different from the Denali and SLT Sierras we saw in Detroit earlier this month. Sierra AT4 features include a rugged, yet tasteful two-inch lift, a locking rear differential, skid plates, hill descent control, a traction select system, optional Goodyear Wrangler off-road tires, and of course, red recovery hooks in front to let everyone know what a serious off-roader it is. The HUD in the Sierra AT4 has an off-road inclinometer showing the fore and aft tilt, front tire angle, and left and right tilt. Power comes from a standard 5.3-liter V-8. If you want some more grunt from your Sierra AT4, you can upgrade to a 6.2-liter V-8. There's also a 3.0-liter inline-six turbo-diesel option. Being an off-road model, four-wheel drive is standard. 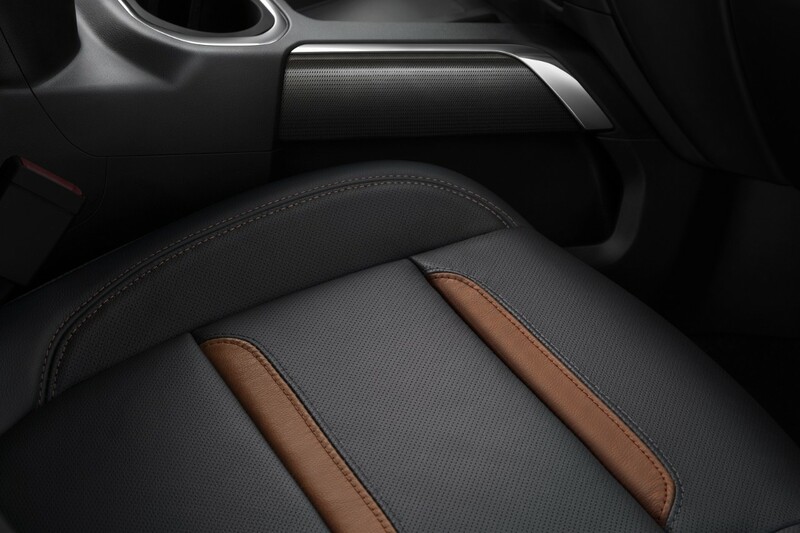 The 6.2 and 3.0 engines come equipped with a 10-speed automatic transmission. We're looking forward to seeing what else GMC has in store for the new AT4 subbrand. 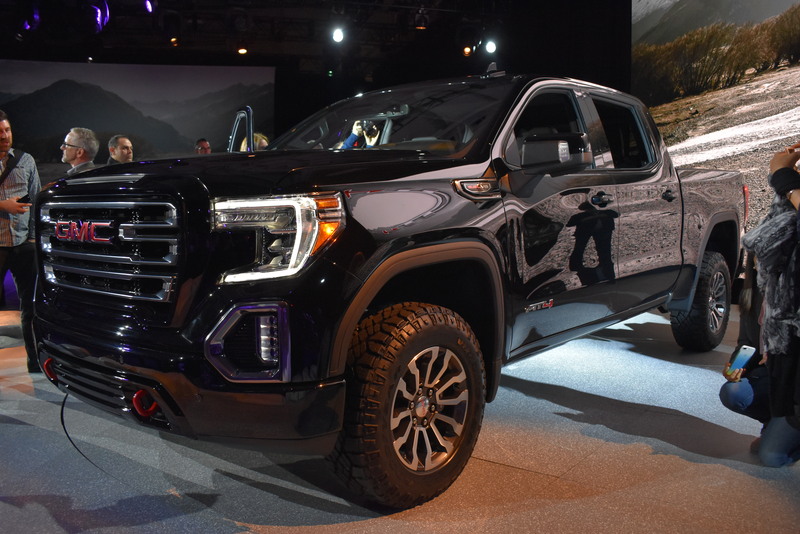 If AT4 can do what Denali did in increasing transaction prices and making up a good chunk of the brand's sales volume, then GMC could have another cash cow on its hands. The 2019 GMC Sierra AT4 will arrive in early 2019. There's no chrome to be found on these premium SUVs. Does The 2017 GMC Acadia All Terrain Live Up to Its Name? Plus a 55" outdoor TV from SunBrite and new grips for your lifting routine.